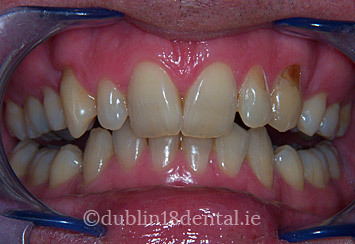 I had old fillings replaced with new tooth white coloured fillings which I was delighted with as they really bothered me. 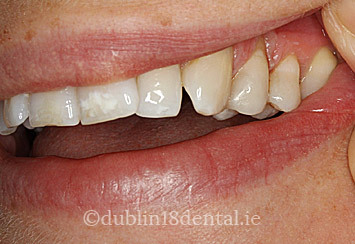 Even the best cared for teeth can become chipped due to an accident. 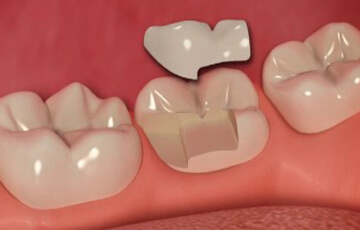 Teeth that are weakened by decay can also break or fracture on biting. 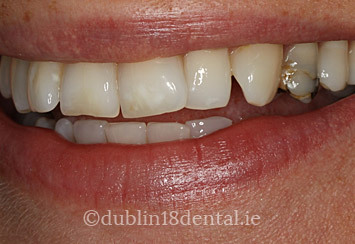 Teeth can be repaired using white filling material which makes the filling unnoticeable. 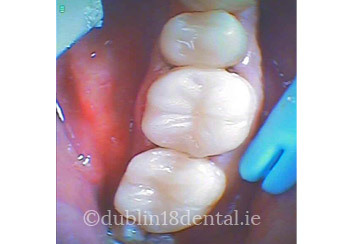 At Dublin 18 Dental Rooms we offer the highest quality aesthetically pleasing white fillings as a modern alternative to silver amalgam fillings. 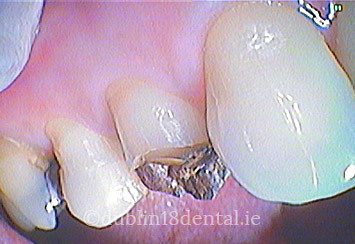 White fillings are made from a mixture of dental composites, resins and glass ionomers which are designed to fill cavities without changing the aesthetics of your actual tooth unlike silver amalgam fillings. 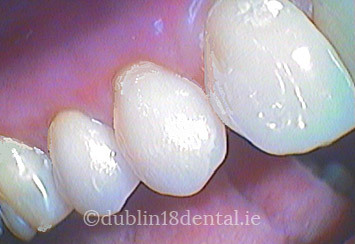 There are various shading of composite fillings available and we will match the shading exactly to your own natural tooth colour for a completely invisible smooth finish while fully restoring your tooth at the same time. 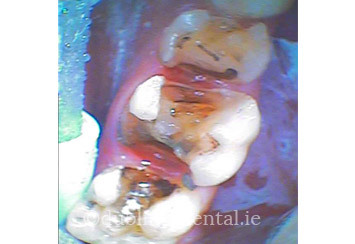 Before placement of a filling the cavity is prepared by removing all the decay, bonding material is then placed and the composite filling is then placed. It is then set using a blue light and trimmed. 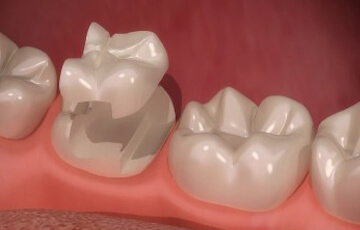 The procedure is very straight forward typically a 45min appointment. 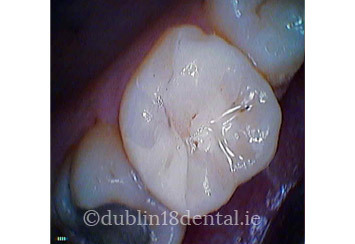 Decayed or chipped teeth can often be repaired with white composite filling material however if the damage is too substantial particularly on the back teeth then an inlay or onlay would be recommended in this case. 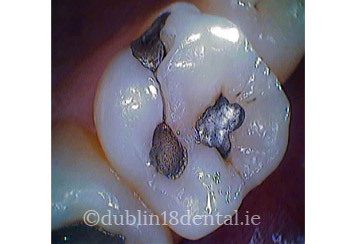 An inlay is a small filling that fits into the biting surface of the tooth. 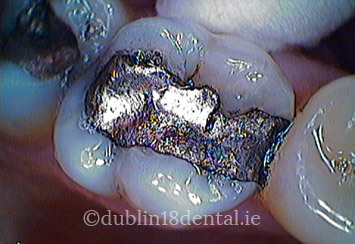 An onlay cover a larger area and is suited better to larger cavities. 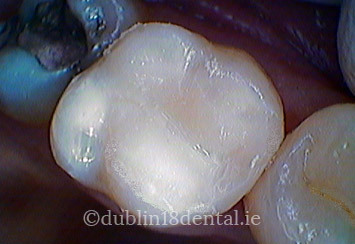 Composite onlays are similar to your standard white fillings except they a larger tooth surface. 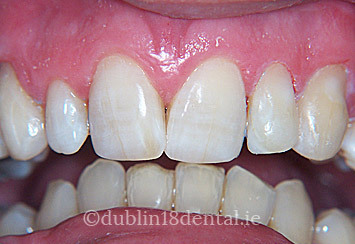 The material is composite resin white in colour which allows the onlay to match perfectly the rest of your teeth. They provide a tight seal between the tooth and indirect filling which prevents the risk of any further bacteria entering the tooth surface.